Alfonso Cuarón will be giving notes. Not only is Disney's The Jungle Book a box office hit, but it's also really, really good. Sequels are already greenlit and I can't stop listening to Bare Necessities. From fans of classic animations initially wary about the remake trend to Disney accountants, everyone's in a pretty good mood at the moment. Well, aside from Andy Serkis, whose own take on Rudyard Kipling's story is now on very shaky ground. On paper his Jungle Book sounded better than Disney's - a mo-cap take on the material with a cast more enviable that Favreau's that went back to the darker tone of the book - but as the Mouse House's take began to grow it became clear he was fighting against a monsoon. Just last week, with the film's release bearing down, Warner Bros. pushed the project back to 2018 to distance themselves from the imminent success (although that may be for naught with the sequel) and now they've called in the help of an Oscar-winning director. 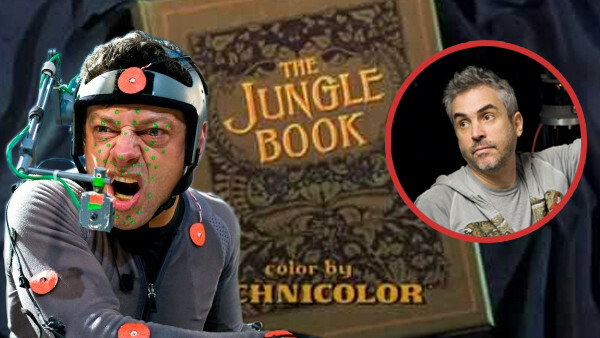 Alfonso Cuarón is reportedly giving notes on the project, hoping to make the film (which recently changed name from Jungle Book: Origins to just Jungle Book) as good as it can be. Afilmmaker already with strong ties to Warner,Cuarón's a logical fixer here given his proven experience with directing CGI worlds from Gravity. I'm sure Serkis will prove a fine director - he's cut his teeth with Peter Jackson and is already the go-to for any mo-cap tutoring - but having some experienced help on hand will certainly aid him on his first feature. Jungle Book is scheduled for release on 19th October 2018.